Press Release: For the first time ever at Warner Bros. 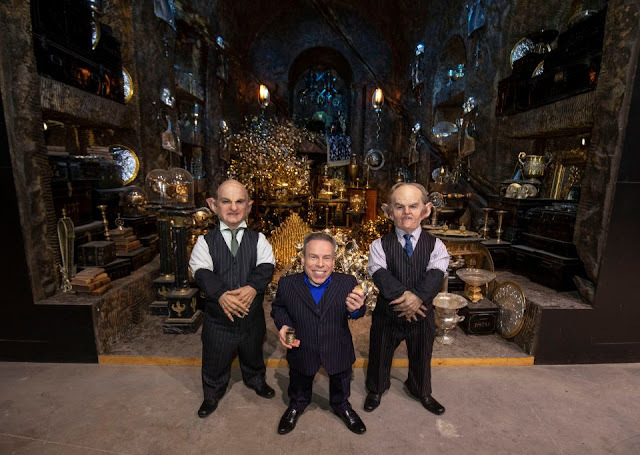 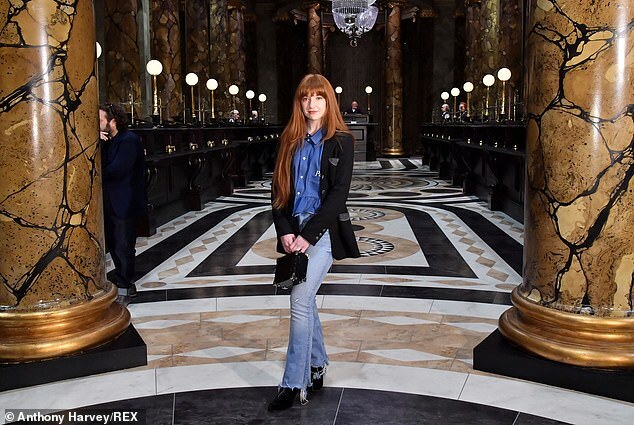 Studio Tour London – The Making of Harry Potter, visitors are invited to enter the set of Gringotts Wizarding Bank as the Studio Tour unveils its biggest expansion to date. Once through the banking hall of Gringotts, visitors will enter the depths of the Lestrange Vault used to store the treasures of Bellatrix Lestrange including the Sword of Gryffindor and Helga Hufflepuff’s Cup, one of Voldemort’s many Horcruxes. 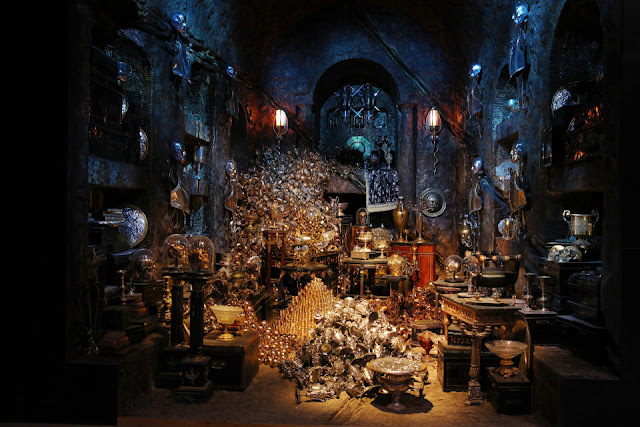 During filming 38,000 pieces of rubberised treasure were created the for the Lestrange vault including 7,014 Hufflepuff Cups. 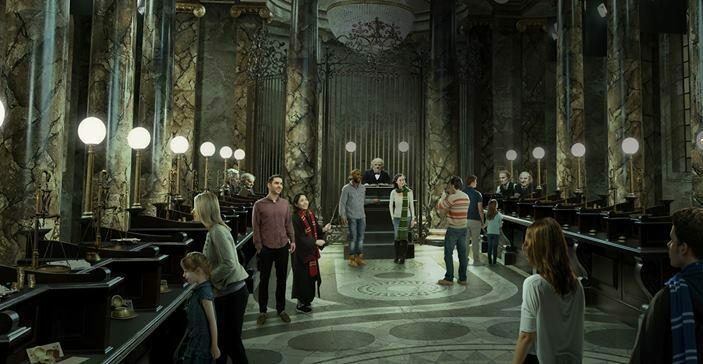  Here, visitors TM & © Warner Bros. Entertainment Inc. Harry Potter Publishing Rights © JKR. 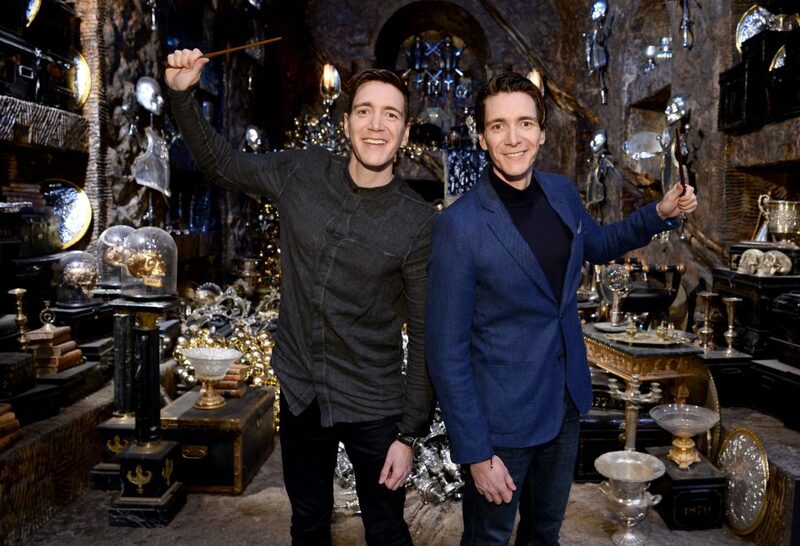 can try out a unique photo opportunity allowing them to step inside the Lestrange vault and surround themselves with treasure.